Last year, ITAC and Destination Canada Germany circulated a press release to German media highlighting the innovative designs and artists featured at Indigenous Fashion Week Toronto in May. The article, titled “Der moderne Manitu”, meaning The modern Manitu, was featured in Welt am Sonntag, the weekend edition of the national daily newspaper Die Welt in Germany. This resulted in a circulation of 521,600 copies and over 1.7 million readers. The article amounts to an ad value of $187 605.77 CAD. German author Stefan Beutelsbacher, joined Tourism Toronto during the press trip last year. The article begins by describing a cleansing ritual in the middle of Toronto, led by Chiichaak, owner of Toronto Aboriginal Eco Tours. Beutelsbacher points out that it is hard to believe you are still in a modern metropolis featuring skyscrapers, museums, restaurants and night clubs when watching the ritual. Beutelsbacher shares statistics on Toronto as a travel destination, before briefly outlining the history of Indigenous culture in Canada. He notes that Indigenous culture is welcomed in Toronto and the rest of Canada as the Canadian government supports several hundred programs that promote Indigenous culture. 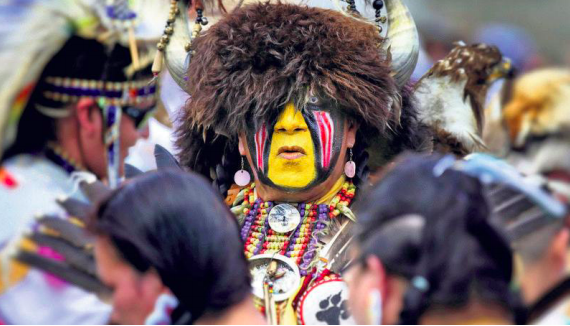 Additionally, the article describes Toronto’s Traditional Annual Pow Wow that takes place just a couple of kilometres away from where the cleansing ritual took place. Many museums showcase exhibitions on Indigenous culture, such as the Royal Ontario Museum and the McMichael Canadian Art Collection. Indigenous culture is also apparent in Toronto when it comes to food — the Boralia serves traditional Indigenous foods that date back 300 years. Beutelsbacher closes the article recapping the first Indigenous Fashion Week that was held in Toronto this past May.